If you choose to include the Cerebral Palsy Association of BC in your will, rest assured that your gift will be one that lasts. On average, 2.68 live births per 1000 result in children with cerebral palsy in British Columbia. You could make a huge impact in their lifetime without paying a penny in yours. We do our best to help people with disabilities live without limits. That’s why our programs and services try to cover the entire lifecycle. Starting with children all the way to seniors, there’s something for everyone. 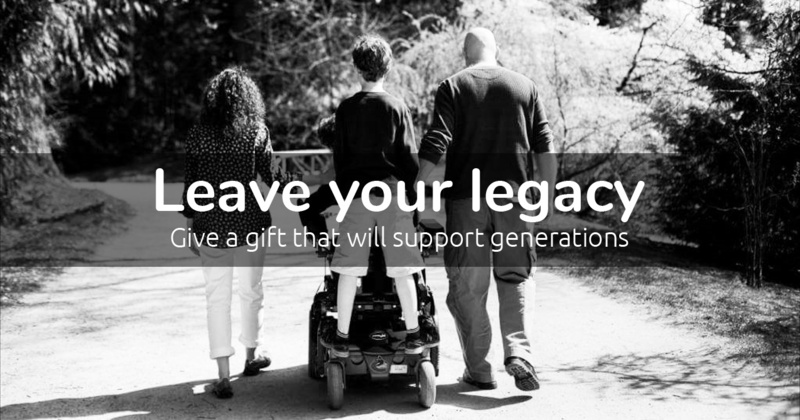 Your donation could mean that those growing up with cerebral palsy will have programs and services to participate in for the rest of their lives. Whether it’s recreation, financial support or support services, we intend to be here when our community needs it most. To learn more about making a planned gift to the CPABC, please call us at 604-408-9484 or toll free in BC at 1-800-663-0004. Or you can send an e-mail to info@bccerebralpalsy.com.